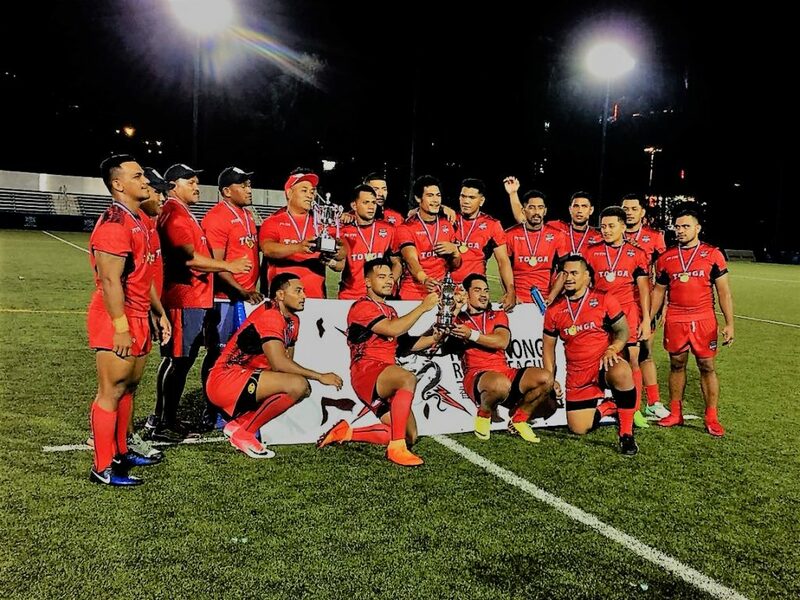 The Tonga Representative team has been crowned HKRL Nines Champions after a highly-charged weekend of rugby league at King’s Park Sports Ground, Kowloon. Unbeaten in the group stages, Tonga set up an evenly-matched final against Pacific Toa and rose to a 12-6 victory. 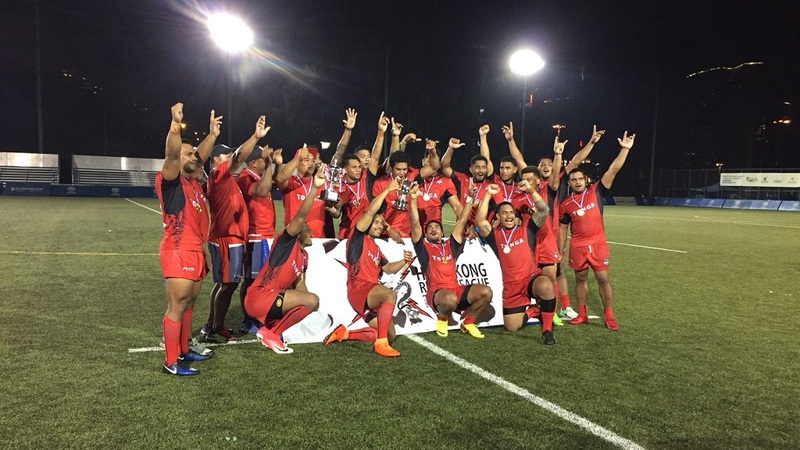 To the delight of the packed crowd along the touchlines, this year’s Redsip HKRL Nines offered a series of fast-paced, hard-fought games between eight domestic and international outfits, with players old and new from many different corners of the rugby world battling it out to be crowned 2018 champions. Pacific Toa was the first team of the tournament to qualify for the final, after overturning reigning champions and Papua New Guinean representatives the Diamond Chiefs in a semi-final that turned out to be one of the most enthralling games of the day. The experienced Chiefs outfit got on the scoreboard early against Toa through an unconverted try down the right wing, which came off the back of some simple, effective rugby and completed sets. Conversely, Toa chose to employ the tactics of chancing their arm against a team who predominantly play the game down the middle of the park. In the second semi-final, Tonga, who hadn’t conceded a single point throughout the entire competition, were up against the Wave Wearers. In the first half alone, the Tongans crossed the whitewash five times – two of which were bonus tries (a try under the sticks awards five points in Nines). Captain Sinone Vea ran circles around the Wearers all game, who were given little to no opportunity to create anything in attack thanks to an absolutely dominant display from Tonga. The score stood at 41-0, in a game which didn’t necessarily reflect the Wearers’ strong effort throughout the tournament. The final kicked off much in a similar vein to the rest of the tournament – with Tonga once again proving their dominance with a simple converted try down the left edge in their very first attacking set. But Toa were not about to give up lightly. For the first time all day, Tonga conceded a try almost immediately after they got on the scoreboard themselves – game on. Tonga soon realised they were in for a real battle against the Hong Kong side, and an arm wrestle ensued for the remainder of the first half. At just six points apiece, both teams were proving to the crowd why they were the two best teams in the tournament. In the second half, once again, Toa made a deliberate effort to take their opponents on out wide, rather than being dragged into a battle down the middle, and held a strong defence on multiple occasions. With just minutes left on the clock, a cross-field kick was caught on the Toa wing for what looked a clear winner, but was eventually pulled back by the referee for an apparent knock-on over the try line. In the following set, the smart Tonga outfit immediately capitalised on a brief lapse in concentration on the Toa side and raced the length of the field after breaking the line to score the match-winner. This year, for the very first time, HKRL hosted a North vs South Battle of Origin with the Wanchai Stadium Women’s Nines, eventually won by the North side (coach Jason Yip, captain Lynda Nazer) in a hard-fought battle which ended 15-5. For videos, live updates and full reactions from the day’s events, visit our Facebook page.